Passengers travelling with children under the age of 18 years will need to upgrade to a private motel room. Please view the details in the Upgrade Options tab. Upgrade to the superior Penguins Plus viewing platform for a more personalised viewing experience. Limited to 300 people, this viewing platform provides a closer look at the Penguins on Parade. Its design was inspired by the natural elements of the surrounding landscape and mirrors the coves of Phillip Island’s spectacular southern coastline. Cost – $28 per person. Hostel Upgrade : Upgrade to a Twin / Double room – no ensuite (extra $50 per person) or a Single room – no ensuite (extra $100 per person). Accommodation at the Bells Beach Backpackers at the coastal town of Torquay. Motel Upgrade : Upgrade to a Single / Twin / Double room – with ensuite (extra $175 per room). 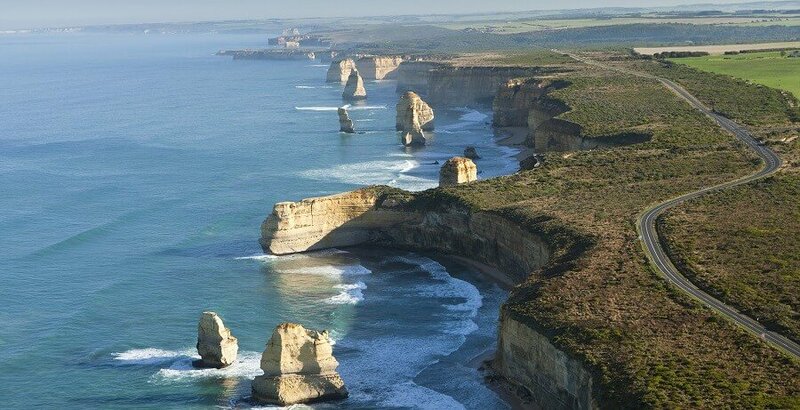 Our 2 Day Great Ocean Road and Phillip Island Penguin Tour gives you the very best of Melbourne’s day tours in one 2 Day tour. 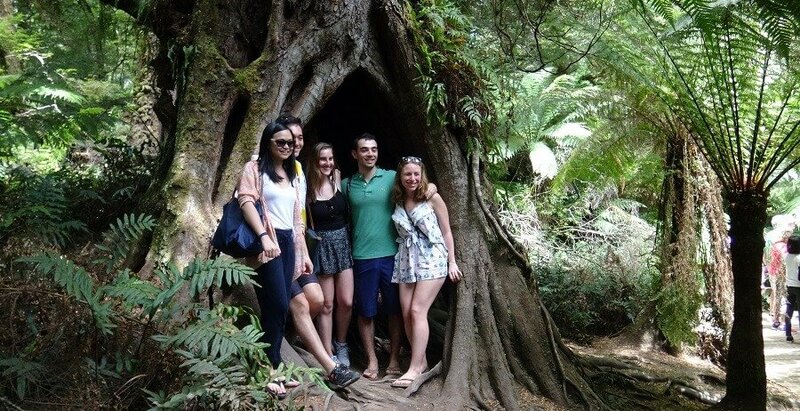 Highlighting some of Victoria’s best scenery and wildlife this two day tour is excellent value for money at only $265. Departing Melbourne we head over the Westgate Bridge towards our first stop in Colac, 150kms south west of Melbourne, for some morning tea. We enter the Great Ocean Road at the 12 Apostles, created by constant erosion of the limestone cliffs of the mainland. We descend the Gibson Steps to view the 12 Apostles from the beach. We visit the Archway, the Razorback and the Dumpling Pots. 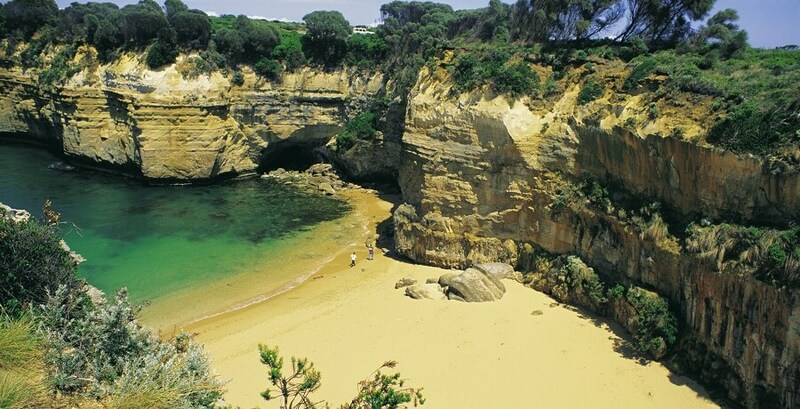 Listen to your guide re-tell the story of the tragic ‘Shipwreck Coast’ – The Loch Ard, which gives the name to the Loch Ard Gorge. See some of Australia’s biggest Eucalyptus Trees as you embark on a guided walk through the very rare, ancient, cool temperate Otway Rainforest at Maits Rest. Enjoy a delicious lunch at the quaint seaside town of Lorne. Take a stroll and see how many koalas you can spot and capture on camera. Visit the Split Point Lighthouse, made famous by the TV series ‘Round the Twist’. Enjoy a BBQ feast for dinner at the Bells Beach Backpackers, situated alongside Cumberland River and home to some colourful Australian birds. Start the second day of this Great Ocean Road and Phillip Island Penguin Tour with a yummy breakfast. Head out to Bells Beach to watch some surfers showing off their skills as they catch some waves at this world famous beach. Pass through the cool town of Torquay, home to the Ripcurl Surfing Pro and perhaps spend some money at the surfing shops whilst you are there. Pass through Barwon Heads and Ocean Grove, before embarking on a ferry ride across Port Phillip Bay from Queenscliff to Sorrento. 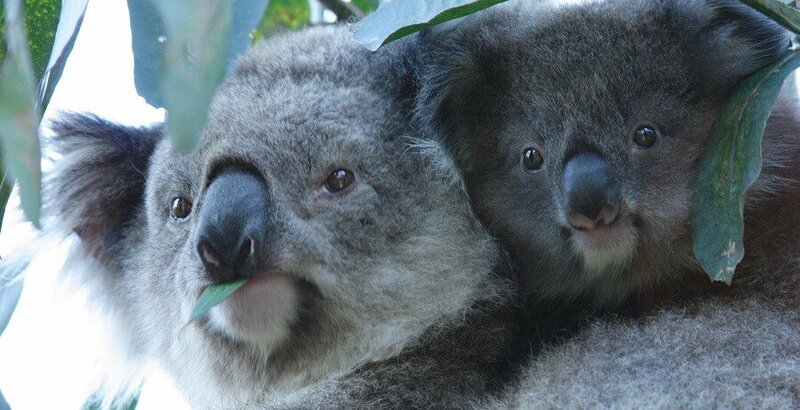 Get up close and personal to some cute Aussie wildlife at the Maru Wildlife Park, including eastern grey kangaroos, koalas, emus, dingoes, crocodiles and more. You can even have your photo taken with a koala for you album. 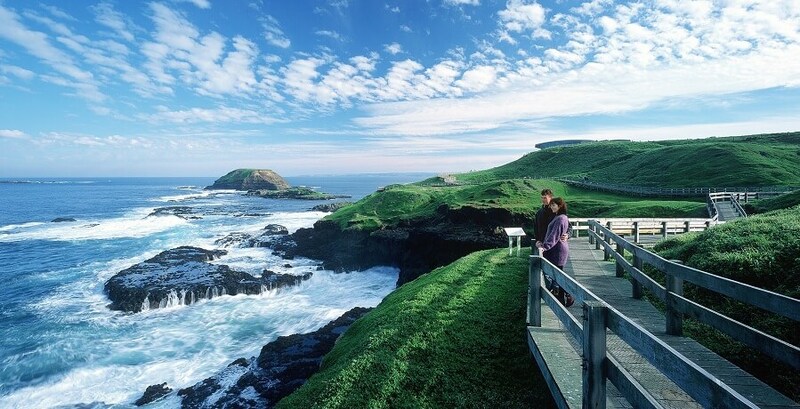 Be blown away by the rugged surf beaches as your cross the bridge to Phillip Island and check out the giant surf at Woolamai Beach. Visit the Phillip Island Grand Prix Circuit to see where all the action happens at the Moto GP. Check out the new marine centre at the Nobbies and stroll the boardwalk to do some seal watching or just take in the majestic rocky coast. 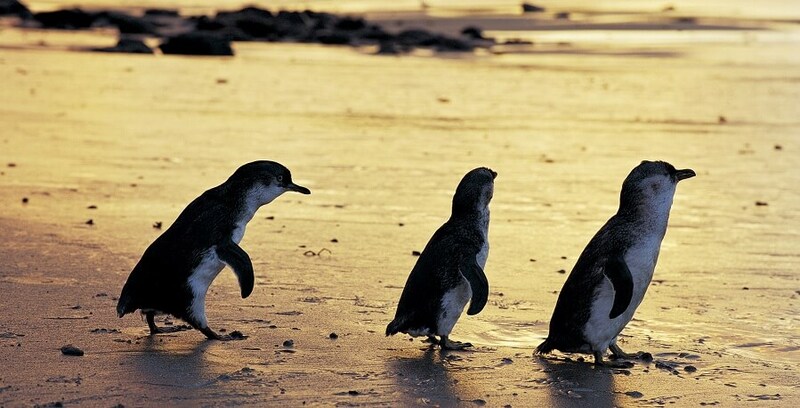 Experience the moment as you first spot the first of the little penguins emerging from the sea and waddling along Phillip Island Beach at dusk at the Penguin Parade. This parade is the perfect end to the 2 day Phillip Island Penguin Tour, only you’ll wish it didn’t have to end so soon. 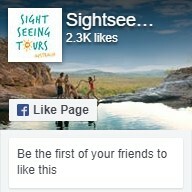 Book your 2 Day Great Ocean Road and Phillip Island Tour with us today!